Several Israeli army jeeps invaded, earlier Friday, the town of Ya’bad southwest of the northern West Bank city of Jenin, and conducted extensive searches, in addition to installing many roadblocks in Jenin governorate. Media sources in Jenin said the soldiers conducted extensive and violent searches of homes, and lands, in addition to interrogating many Palestinians while inspecting their ID cards. 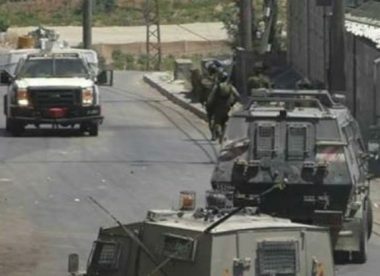 They added that the soldiers also installed several roadblocks near villages and towns in Jenin governorate, before stopping and searching dozens of cars, especially in the eastern part of Jenin.